Q:What does the bag look like, is it like a cup size? Can I decorate an entire table with this? A:There are about 50 pieces in a bag. Q:I would like to see what the different fonts look like. Is that possible? Q:Thanks for your prompt response. I hate to keep bothering you with question regarding this "Personalized Name Confetti" but, I want to make sure I'm purchasing the correct thing. Your answer stated it's approximately 1" H so, it's NOT small like regular confetti correct? A:They are approximately 1" H and can be tossed on tables for decoration. Q:Do you sell regular sized confetti? I want to sprinkle it on a table. 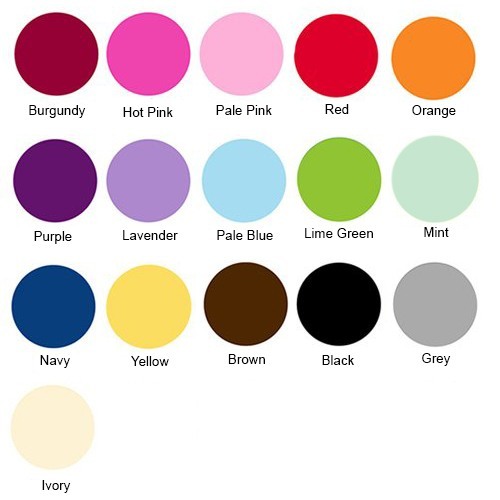 Confetti colors may vary from color chart. Personalized confetti lets you say exactly what you want for your wedding. 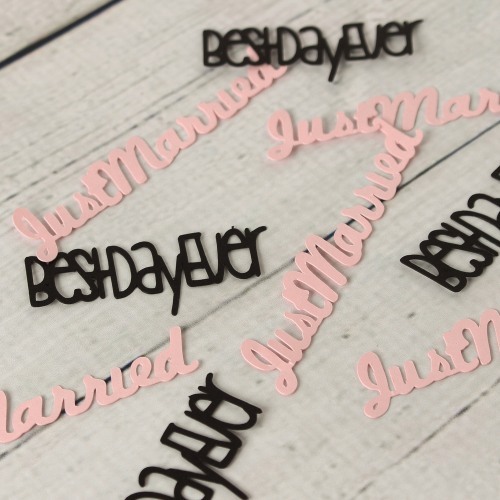 Simply choose your favorite font, word, and color for an instantly customized party accessory. Sprinkle on top of tabletops as décor or hand out to guests to use at their celebratory discretion!